Not only were British colonists at war with Australia's First People, but irrefutable evidence shows that – at least in Tasmania – they were trying to wipe them from the Earth. Dr Kristyn Harman reports. Voluminous written and archaeological records and oral histories provide irrefutable proof that colonial wars were fought on Australian soil between British colonists and Aboriginal people. More controversially, surviving evidence indicates the British enacted genocidal policies and practices — the intentional destruction of a people and their culture. When lawyer Raphael Lemkin formulated the idea of “genocide” after the second world war, he included Tasmania as a case study in his history of the concept. 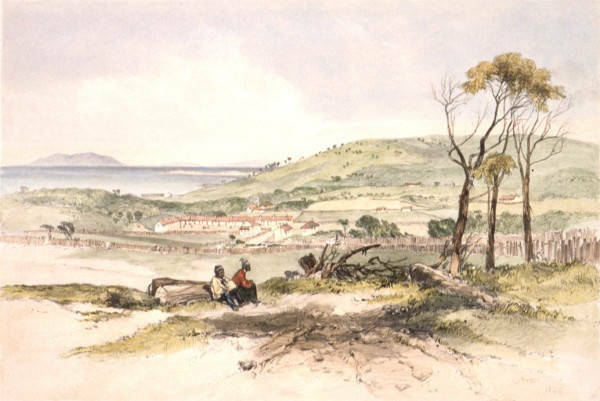 Lemkin drew heavily on James Bonwick’s 1870 book, The Last of the Tasmanians, to engage with the island’s violent colonial past. Curiously, books published before and since Bonwick’s have stuck to a master narrative crafted during and immediately after the Tasmanian conflict. This held that the implementation and subsequent failure of conciliatory policies were the ultimate cause of the destruction of the majority of Tasmanian Aboriginal people. The effect of this narrative was to play down the culpability of the government and senior colonists. More recent works have challenged this narrative. In his 2014 book, The Last Man: A British Genocide in Tasmania, Professor Tom Lawson made a compelling case for the use of the word “genocide” in the context of Tasmania’s colonial war in the 1820s and early 1830s, when the island was still called Van Diemen’s Land. As Lawson writes, in the colony’s early decades, “extermination” and “extirpation” were words used by colonists when discussing the devastating consequences of the colonial invasion for the island’s Aboriginal inhabitants. Nick Brodie’s 2017 book, The Vandemonian War: The Secret History of Britain’s Tasmanian Invasion, argues that the war was a highly orchestrated, yet deliberately downplayed, series of campaigns to efface Tasmanian Aboriginal people from their country. Brodie’s book makes extensive use of over 1,000 pages handwritten by Colonel George Arthur, revealing exactly how he prosecuted the Vandemonian War. In his dual roles as lieutenant-governor of the colony and colonel commanding the military, Arthur directed a series of offensives against Aboriginal people. Imperial soldiers, paramilitaries and volunteer parties were regularly deployed. Some parties were assigned Aboriginal auxiliaries as guides. Arthur’s war eventually included the largest ground offensive in Australian colonial history. Shortly after he arrived in the colony in 1824, Arthur began stockpiling weapons. He blurred the lines between military men and civilians. Military officers and soldiers were given civil powers. Former soldiers were encouraged to settle in Van Diemen’s Land and to help quell Aboriginal resistance. Settlers were issued with hundreds of guns and thousands of rounds of ammunition. Convicts who fought against Aboriginal people were rewarded. Military and civilian parties scoured the island for Aboriginal people, taking some prisoner and injuring or killing others. They destroyed Aboriginal campsites and caches of weapons. Arthur knew his war parties were killing their opponents, but continued to send them out regardless. He feigned ignorance after John Batman, leader of one of the parties and later founding father of Melbourne, fatally shot two injured Aboriginal prisoners in his custody. Colonial strategy became more severe over time. Bounties were introduced at £5 for an adult Aboriginal person and £2 per child to encourage colonists to bring in live captives. These payments were later extended to cover not only the living but also the dead. Arthur’s regime leaked stories to the press to manage the public’s understanding of the war. It publicly announced the retirement of parties that it continued to supportand selectively recorded evidence given to an investigative committee. As the war progressed, Arthur ordered men to conduct many covert operations. While there were some expressions of empathy for Aboriginal people, many reports painted them as aggressors, thereby justifying government action and even secrecy. Ultimately, a couple of thousand soldiers, settlers and convicts were recruited for a general movement against Aboriginal people in late 1830. During this major campaign, Arthur rode his horse up and down the lines. He personally oversaw the operation. He sent dedicated skirmishing parties out in front of “the line”. Surviving records do not reveal how many casualties may have resulted. In the latter stages of the war, Arthur sent George Augustus Robinson to carry out so-called diplomatic “friendly missions” to Aboriginal people. While these were taking place, Arthur continued to orchestrate military and paramilitary operations, including some conducted by nominally diplomatic operatives. Eventually, Arthur declared that details of the war had to become a military secret. He then continued with a series of major military offensives against the island’s remaining Aboriginal population. By the mid-1830s, almost all of Tasmania’s surviving Aboriginal inhabitants lived on small islands in Bass Strait, some with sealers and others at the Aboriginal Establishment on Flinders Island. From an Aboriginal population numbering somewhere in the thousands on the eve of invasion, within a generation just a few dozen remained. Whereas the master narrative framed this state of affairs as proof of a benign government caring for unfortunate victims of circumstance, the colony’s archives reveal that Aboriginal people were removed from their ancient homelands by fair means and foul. This was the intent of the government, revealed by its actions and instructions and obfuscations. In the language of the day, the Aboriginal Tasmanians had been deliberately, knowingly and wilfully extirpated. Today we could call it genocide. As well as legacies of death and dispossession, the colony left a legacy of deliberate forgetting. Our neighbours across the Tasman Sea acknowledge and now formally commemorate the 19th-century New Zealand wars. The first Rā Maumahara, a national day of remembrance, was held on October 28 2017. Yet today in Australia people quibble over whether the nation’s colonial conflicts ought to be called “wars”, or indeed whether any conflicts took place. Despite some differences, wars prosecuted in the Australian colonies share strong similarities with the New Zealand wars. British colonists and imperial soldiers fought against Indigenous people who took up arms to protect their families, land, resources and sovereignty. Yet colonists perceived their Indigenous opponents differently. Through British eyes, Māori were feared as a martial foe. 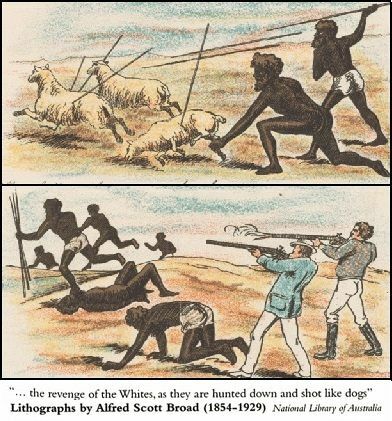 Australian Aboriginal people, on the other hand, were considered incapable of organising armed resistance despite extensive evidence to the contrary. New Zealand has begun a new chapter of national commemoration for the wars fought on its soil. Is Australia ready to follow suit? Or will it, by omission, continue to perpetuate the secrecies of its own wartime propaganda? Disclaimer: Nick Brodie is the author's partner and occasional research collaborator. Dr Kristyn Harman is Senior Lecturer in History at the University of Tasmania. This article was originally published on The Conversation under the title 'Explainer: the evidence for the Tasmanian genocide'. Read the original article. Don't tiptoe around the truth. Subscribe to IA today.